Home » india news » Soni Sori says cops intimidated her, wanted her to miss court hearing. Why? Soni Sori says cops intimidated her, wanted her to miss court hearing. Why? Soni Sori alleges cops in civvies intimidated her and tried to prevent her from reaching court. Why? Men in unmarked cars scare Soni Sori at the very spot where she was burned with chemicals. Who were they? The human rights activist and AAP leader Soni Sori was "intimidated" by unidentified men in Jagdalpur on Thursday. Sori, who is leading a 'Tiranga Yatra' through the Maoist hotbed of Bastar, was on her way to appear in the district court. According to Soni, "policemen in plain clothes came in three cars without number plates" and overtook her car, forcing it to stop in the middle of the road. They came out hurling abuses at her. Adivasi journalist and Soni's aide Linga Kodopi was driving her vehicle. She was also accompanied by the journalists Kamal Shukla and Tameshwar Sinha, and two security guards. The incident took place at the same spot where she had been attacked and burned with chemicals early this year. Also Read: Soni Sori attack: How will the police arrest its own men? Soni realised they were trying to prevent her from reaching the court, so she asked Kodopi to continue driving along the muddy road. But the mysterious vehicles tailed them, honking and abusing Kodopi before going into Kodenar police station. Soni eventually reached the court, only for the magistrate to reprimand her for being late. Soni alleges the police wanted her to miss the hearing so that the magistrate would issue an arrest warrant for her. But the plan didn't work as many other people were travelling with her. Soni has, nevertheless, expressed fears that she and Linga Kodopi might be attacked again. Soni is currently leading a 7-day-long Tiranga Yatra. 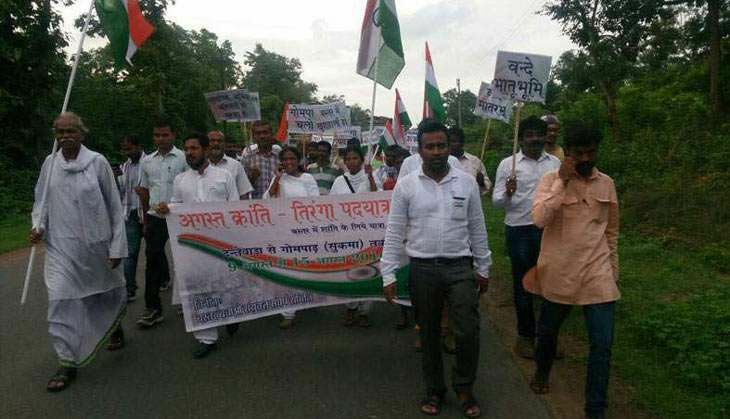 The foot march started on 9 August from Dantewada in Chhattisgarh. She shuttles between the yatra and the court every day. The 180-km march is planned to pass through areas considered as Maoist strongholds and end at Gompad in Sukma district with the unfurling of the Indian flag on August 15. Gompad is the village where a tribal woman, Madkam Hidme, was allegedly raped by security personnel and then killed in a fake encounter last month. Several social organisations under the banner of Bastar Bachao Sangharsh Samiti are participating in the march. Sanket Thakur, the convener of the yatra, has alleged that the police and the civil administration "are adopting all means to ensure the march fails". There was an incident while you were going to the court today. What happened? Soni: I'm required to visit the court every day for hearing. I can't be derelict in this duty as I respect the judiciary. It is up to me how to wage both battles together (Tiranga Yatra and court cases). My vehicle was stopped at the same place where I was recently attacked with chemicals. I was coming from the yatra to go to the court. Near Banjarin valley, these people stopped their vehicle in the middle of the road. They started hurling abuses as soon as we tried to pass them. It became clear to me that they were deliberately obstructing my path to prevent me from reaching the court. I told my associates to continue moving ahead. We somehow managed to get out of the situation. But the assailants followed us and honked incessantly. Then, three vehicles without number plates overtook us and wouldn't let us pass. When we tried to make our way out, they pointed fingers at Linga and abused him. They wanted to prevent me from reaching the court. Eventually, I arrived late at the court. This case is very important to me. The witnesses had already started to depose when I reached. The magistrate expressed his displeasure. But he was right in his own place. So, you did manage to reach the court safely? Soni: Yes, but I was late. I am always punctual at court hearing. I am usually accompanied by Linga and the gunman. But today my vehicle was full. These people had a good look at the vehicle. I don't know what their motive was. Where did those three vehicles go? 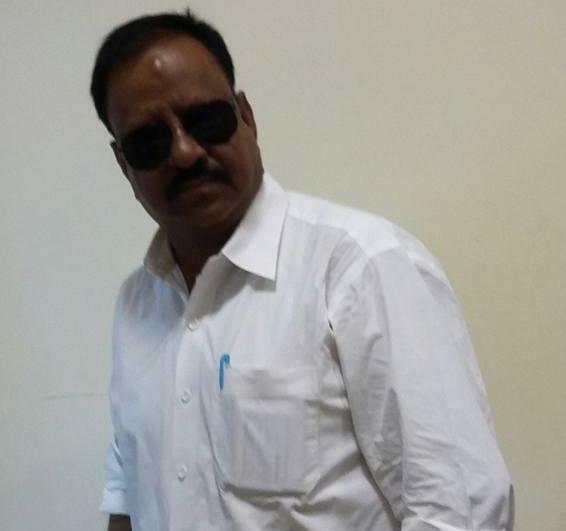 Soni: All vehicles entered the Kodenar police station. I would have chased them had it not been a judicial matter. Why do you think they wanted to keep you from attending the hearing? Soni: The magistrate would have issued an arrest warrant against me had I failed to attend the proceedings. They would have insinuated that I was deliberately avoiding the judicial process. I am constantly questioned by Subbarao and IB sleuths. Umesh Sahu, who has lodged a case against me, also keeps hounding me. TWEET THIS Soni Sori alleges cops in civvies intimidated her and tried to prevent her from reaching court. Why? Men in unmarked cars scare Soni Sori at the very spot where she was burned with chemicals. Who were they?